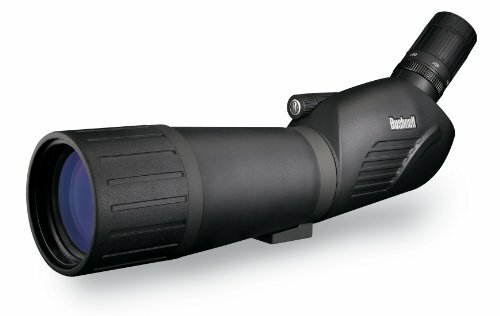 Bushnell Legend Ultra HD 20-60 x80 45 degree Spotting Scope | Spot On! Built on the same philosophy as our new Legend ultra HD binoculars, the Legend ultra HD Spotting scope delivers exceptional field performance at a price most avid enthusiasts can afford. The Ed Prime extra low Dispersion glass, fully multi-coated optics and premium bak-4 prisms capture the moment with vivid clarity and contrast, even in low-light conditions. Stacked, dual-focus controls permit you to make both Rapid and fine-tuning adjustments. Lenses are protected by our new ultra-effective rain Guard HD for the clearest possible view in the face of foul weather or condensation from your own misguided breath.